Opening statements begin today in the long-anticipated trial of James “Whitey” Bulger, who is accused of murder, racketeering, extortion, money laundering, gun stockpiling and drug dealing. 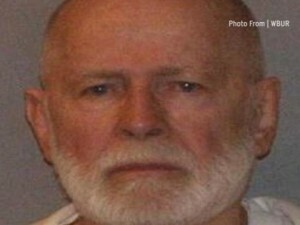 Before his arrest, Bulger was so notorious that he shared the top spot on the FBI’s most-wanted list with terrorist Osama bin Laden, The New York Times reports. A jury was sworn in Tuesday from a pool of 858 candidates, The Times reported. Bulger also happened to be a long-time FBI informant. Posted: 6/12/13 at 8:56 AM under FBI, News Story.